Lotus root is one root vegetable I never had before I moved to Japan. 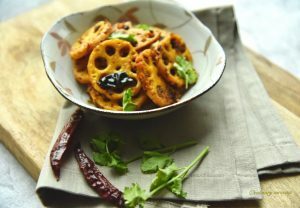 I grew up in Maharashtra (Western state of India) where we didn’t get lotus root that easily and I always read some really great recipes but never had a chance of tasting it. But in Tokyo it was available through out the year and I tried cooking it in many different ways. 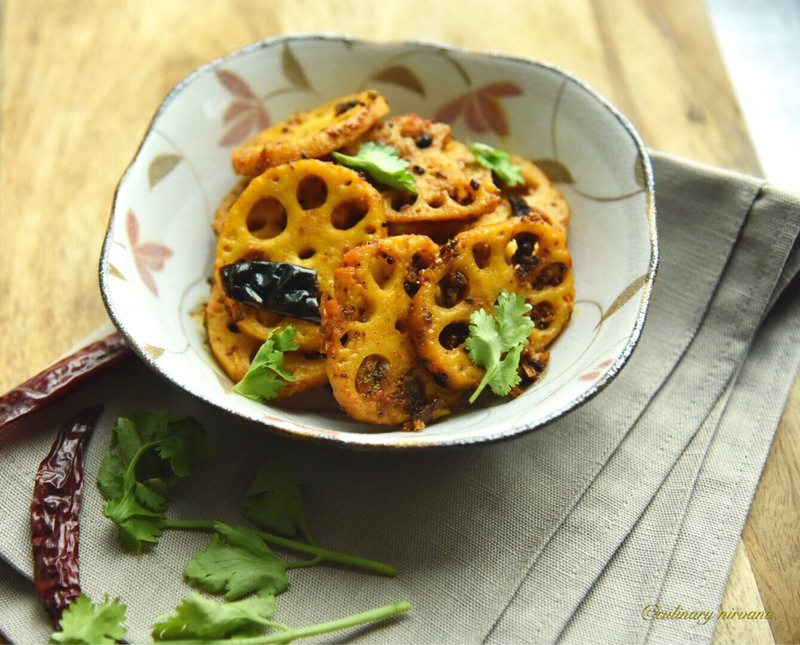 Lotus root has many great health benefits, it is a notable source of dietary fibre, improves digestion, it’s rich in many minerals and vitamins, including iron, vitamin C and vitamin B6. In Tokyo and Singapore the it is already boiled and packed so cooking procedure become very easy, but if you can’t find already boiled lotus root then you can pressure cook it. 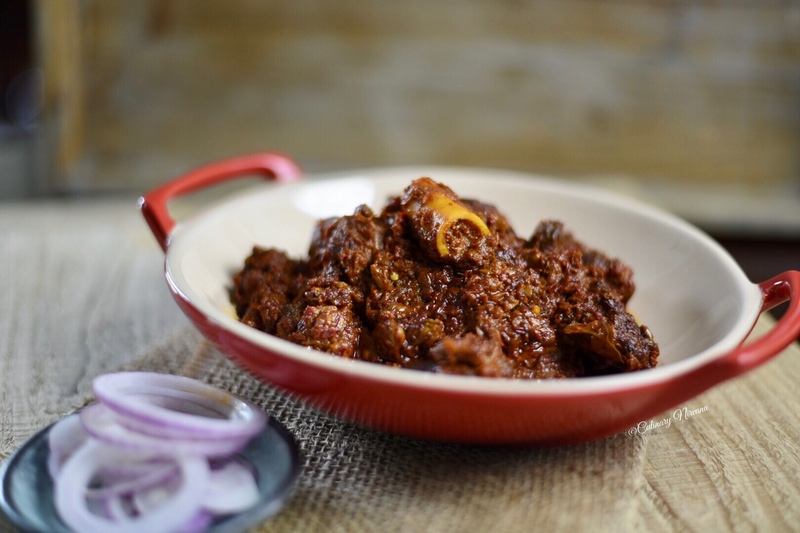 Try this simple and quick recipe, serve it with roti or parathas. 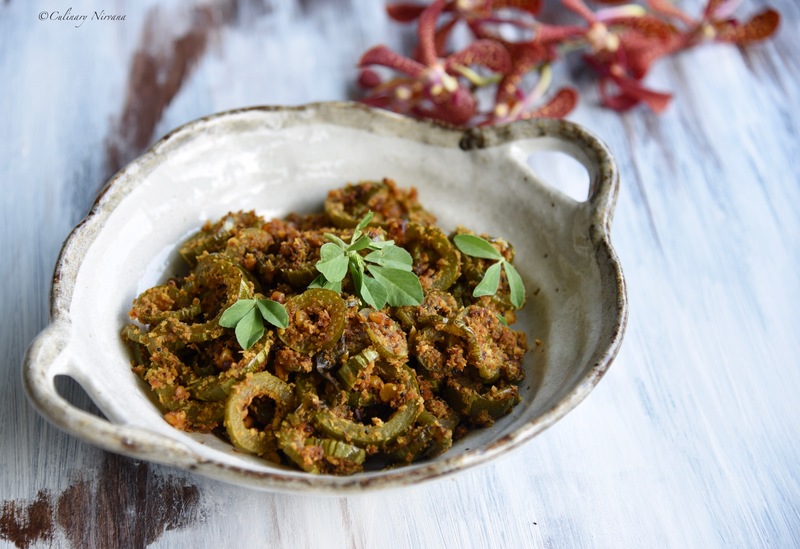 Heat mustard oil, add in the mustard seeds let them crackle, then add red chillies and asafoetida. Sauté for 20 seconds. Add in the onion, sauté for 5 minutes. Add in the ginger, red chilli, coriander powder and lotus root, mix well and keep stirring for 5 minutes. Sprinkle some water in between to keep it from burning and drying out. If you don’t have already boiled lotus root, then put it in the pressure cooker with 1/2 cup of water and give 3 whistles or cook it on high pressure for 10 minutes and turn off the gas. Open the cooker and keep sautéing so the water dries out. 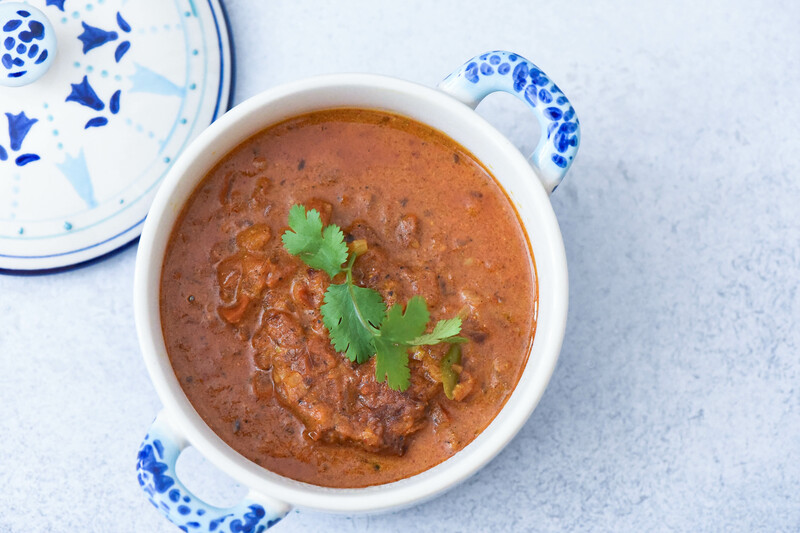 Garnish with fresh coriander and serve hot with roti or parathas.